Our "Basic Beauty" arrangement is perfect for enhancing the feeling and decor in any household, business, or event. Looking for a simple yet sophisticated design? Select the "Basic Beauty" arrangement! 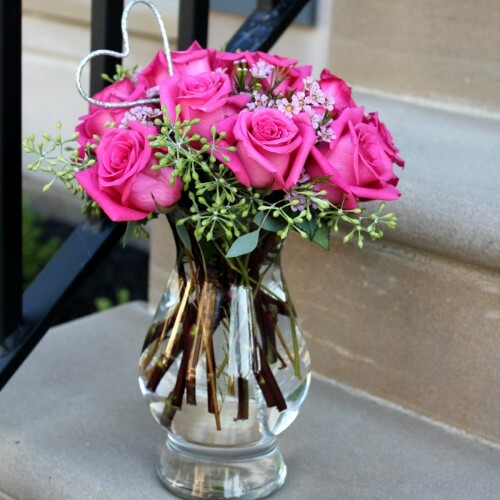 Included are a dozen pink roses, embellished by stems of seeded eucalyptus and cute pink wax flowers. The clear vase helps support the pop of color, which can be adorned with a matching ribbon of your choice. Accessories included: One heart pick.